Because most people don’t think about stormwater, education must be clear, experiential, and related to daily life. 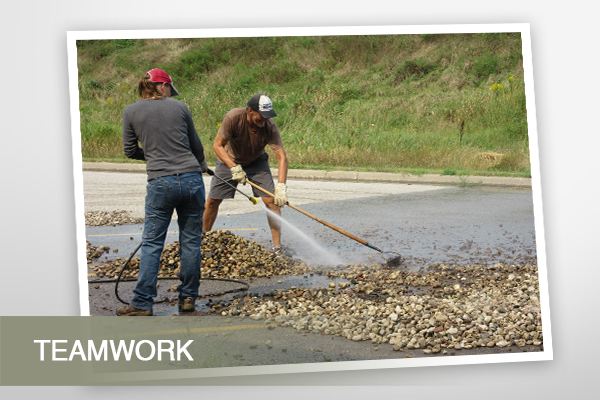 La Crosse Urban Stormwater Group, with NewGround, sought a way to effectively demonstrate stormwater management to small businesses and homeowners. 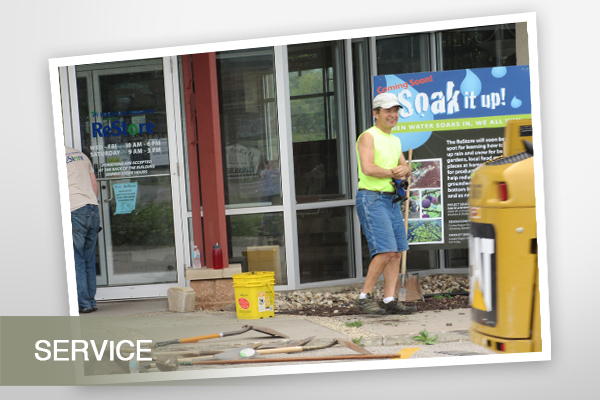 When Habitat For Humanity ReStore purchased a new property with stormwater management needs, the three groups joined forces to meet them while educating local citizens. 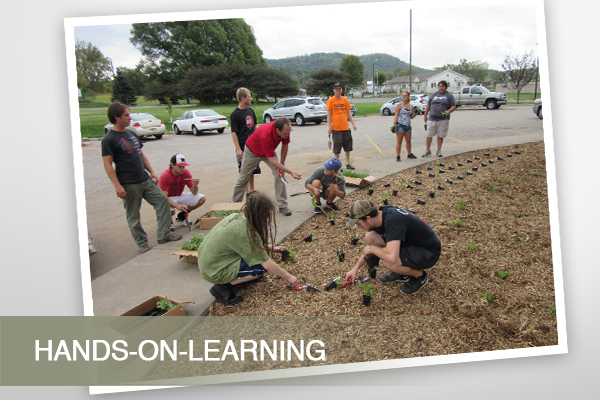 The two-year project (2014-16) integrates site development with outreach and diverse native plants, food, and healthy places for people with stormwater management. Citizens were engaged in project development, construction, design, and outreach. Permanent teaching signs will inspire long-term.